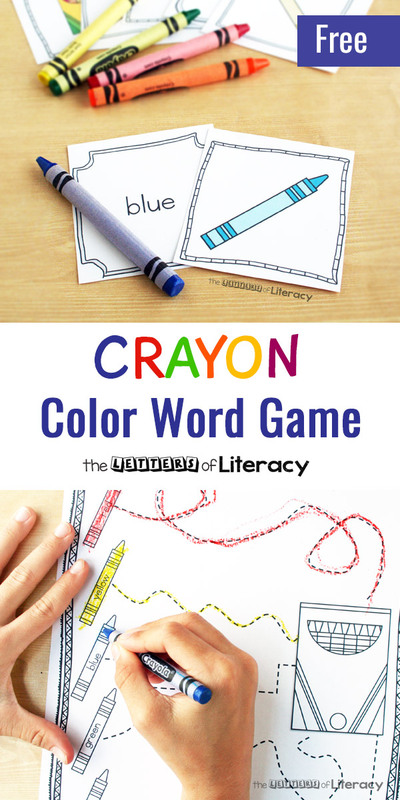 This differentiated color word game is an engaging book extension activity for The Day the Crayons Came Home by Drew Daywalt. 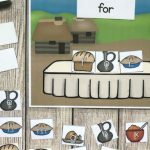 It can work well in a literacy center with one or two students, or at home with parent and child. The Day the Crayons Came Home is the fun, quirky companion to The Day the Crayons Quit. In this story, wayward crayons return home, and air their complaints of poor treatment. It’s perfect for starting a discussion about how kids should treat their crayons. 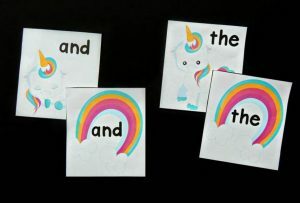 Both books make fun read-alouds to accompany a lesson on color words as sight words. We love making up games here. One of my son’s favorite games when he was in preschool and kindergarten was Concentration. 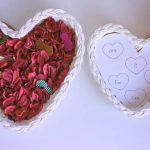 I remember playing over and over with him using a colorful deck of fruit and vegetable cards that our grocery store had given away as a promotional item. Later, when my twins were that age, those cards somehow got mixed in with all the toy kitchen items. The girls would match the plastic grapes to the purple grapes card, the fake carrots to the carrot card, etc. This game involves matching actual crayons to cards with pictures of crayons, and to cards with just color words on them. There are three versions, all using basically the same cards and recording sheets. To get started, first gather your materials. 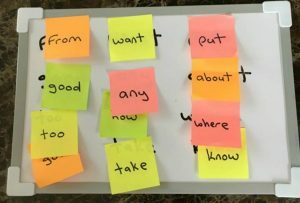 This version gives non-readers exposure to color words, plus practice playing card games. Spread out only the picture cards, face up. Pull a real crayon from the bag, and lay it on the matching card. Repeat with the rest of the crayons. Finally, use the crayons to color the recording sheet. 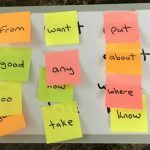 Students who are just learning to read color words will probably prefer this version. 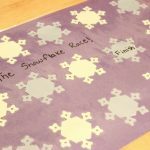 It’s sort of a face-up Concentration game with an extra element – crayons – throw in. Spread out all the cards face up. Pull a real crayon from the bag. Then, find both the picture card and the word card for that color, and set them aside. Next, use the crayon to color in the recording sheet. Repeat with the rest of the crayons and cards. 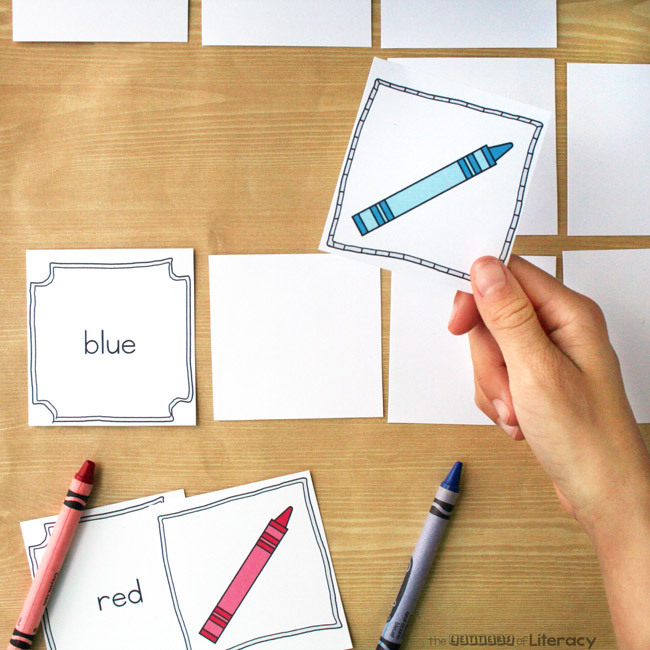 Once students can consistently read color words, they have brainpower left over for an additional memory challenge. This version is also a twist on Concentration. Spread out all the cards face down in rows, as you would to play Concentration. Pull a real crayon from the bag. 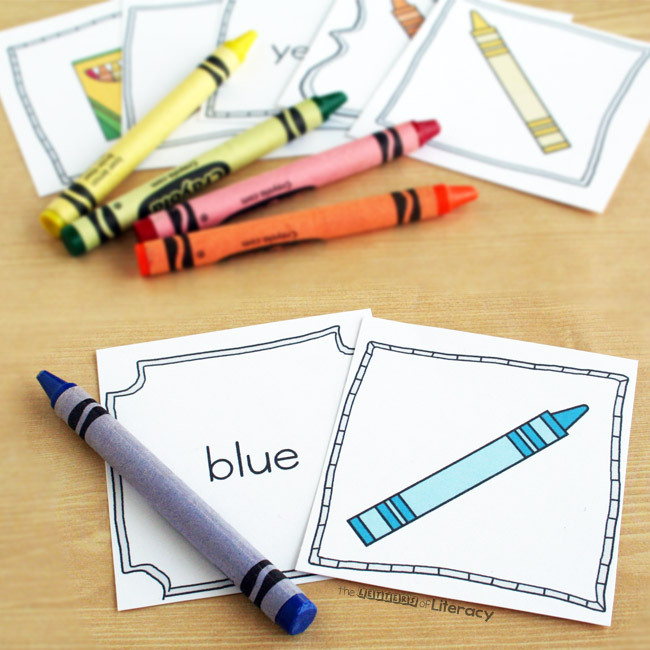 Then, turn over 2 cards trying to match the crayon color with a picture card and a word card. 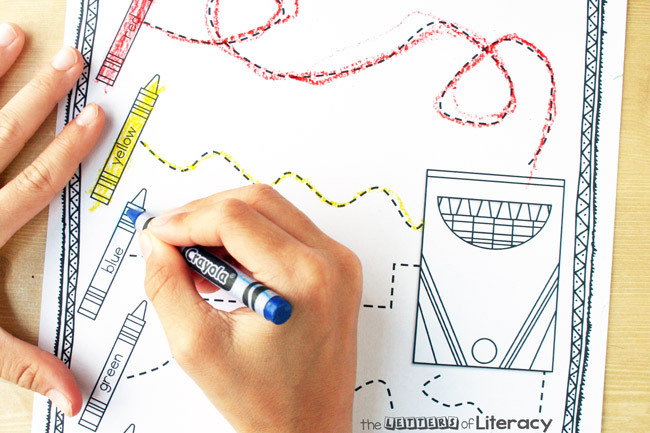 If the cards and crayon all match, set the cards aside, and use the crayon to color in the recording sheet. If they don’t match, then flip the cards back over and return the crayon to the bag. The crayon box cards are wildcards. If you turn one over, set it aside and go again. Repeat until all cards and crayons are matched. I set the Challenge version of this game to test it out, and all three kids were eager to be my guinea pigs. 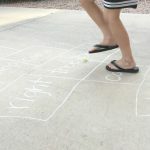 It turns out that even though they’ve already learned their color words, Concentration is fun at any age. 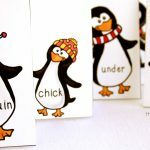 Ready to practice sight words? 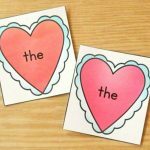 Download your copy of the sight word activity list by clicking the blue button below! 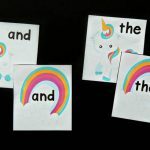 Then, hop on over and try this Unicorn Sight Word Matching Game!